Would your God be bored if everyone was happy? Am I supposed to believe we’re receiving information? Can I defect back to curiosity in the moonlight stone rabbit? Pour boiling water over crisco & milk. Combine with a fork until the consistency of whipped cream. Add flour & salt. Mix until crumbly. Form into 2 cakes and roll out between 2 sheets of wax paper. Makes 2 crusts. If you’re me, and you make DEEP dish pies, make an additional 1/2 recipe of the crust to prevent kitchen tears. It’s best to chill your dough 20 minutes. Peel, core and slice your apples thinly. Set in bowl and top with the sugar mixture, cover with a towel. Place bottom crust in the pie plate, top with apples and juices. Place the butter in all the nooks and crannies of the apple layers. 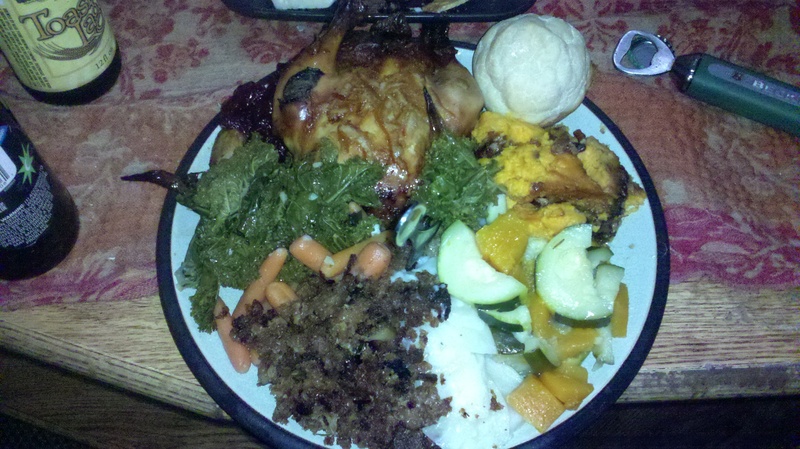 Top with remaining crust. 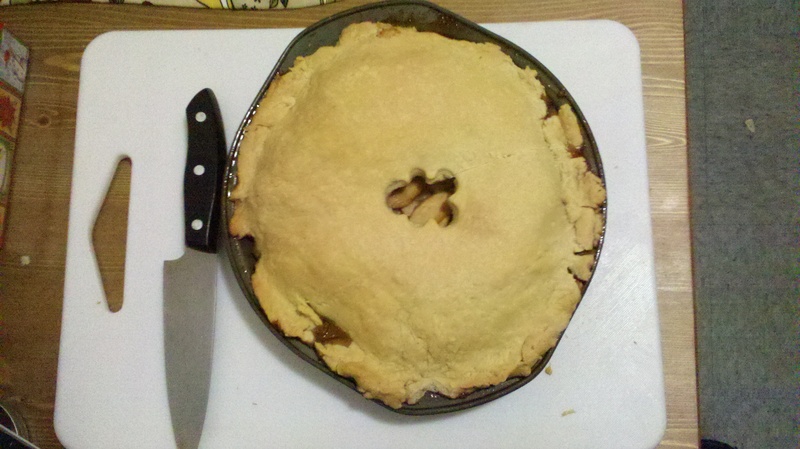 I use a small cookie cutter on the top crust so the heat can escape. Bake 425 for 10 minutes, and 375 for 3o or until golden brown. Mix and knead together then let rise once, punch down and let rise a second time until doubled in size. Mike into rolls and set in individual muffin tins and allow to rise once again. Bake at 350 degrees 20 to 25 minutes. I served them with honey butter, but they were even better all week long as breakfast biscuits with bacon. Place bay leaves and chilis in a slow cooker. Combine all dry ingredients in bowl. Rub all over the pork shoulder. 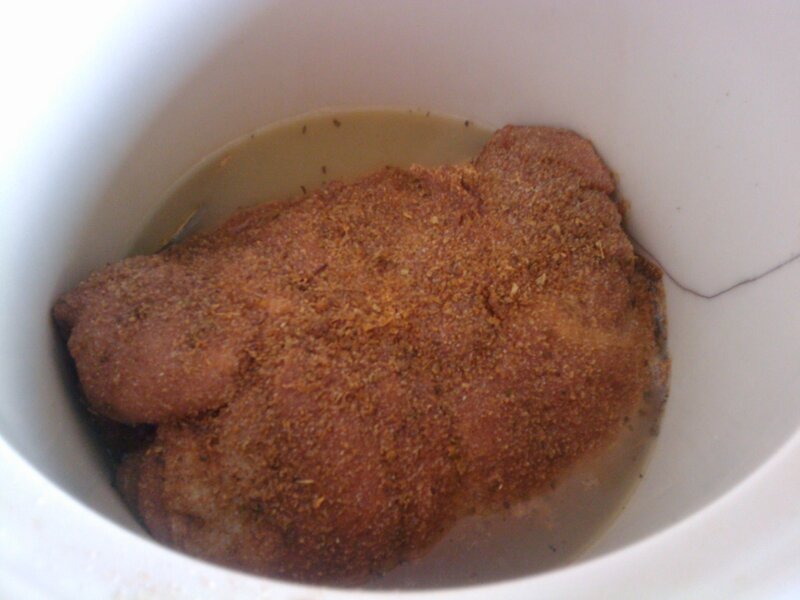 Gently place shoulder in slow cooker and cover gently using a baster with the chicken broth. Cook on low for 18-24 hours, turning gently every few hours. Meat should fall off the bone. Don’t be surprised to find loved ones eating fat soaked meat directly from the crock pot. I wasn’t. 2 jalapenos seeded and membranes removed if desired – I always leave mine in, live a little. cilantro – I usually use an entire bunch, but I have a cilantro thing. Sautee onion garlic in olive oil until they smell amazing. In food processor combine green peppers, tomatillos, jalapeno and cilantro. Add chicken broth if necessary to make the blending easier. Process until it’s smooth. Put your tomatillo sauce in a slow cooker with your sauteed onions and garlic and cook on low with the remaining chicken broth all day. Or, if you’re in a hurry, combine all ingredients in a sauce pan and simmer for 20. Soak beans overnight, drain and rinse. Cook beans in 4 cups of water. Boil until soft, do not drain. Brown sausage and shallots in a pan, add to bean mixture with broth. Simmer on stove for 30 minutes, adding the kale for the final 10 minutes. Serve with fresh parmesan and crusty bread. Soak lentils for 30 minutes before boiling until soft. Drain. In saucepan brown sausage, drain add to boil with lentils. Roast squash for 30 minutes, add to sausage and lentil mixture. Top with crumbled goat cheese and freshly shredded basil. This salad is amazing warm or cold, works great for a meal on the go in Tupperware.